The Lincolnwood Chamber of Commerce & Industry is the leading voice for business in Lincolnwood and beyond. 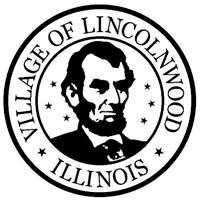 The Chamber promotes our member businesses and organizations, supports special events and advocates for policies and programs that are designed to help make Lincolnwood a great place to live and do business. Under the direction of the 10 business and community leaders who make up our Board of Directors, the Chamber is dedicated to the organization’s vision to promote the interests of Lincolnwood and be the leading advocate for the growth and enhancement of our community. The Lincolnwood Chamber is directed by a diverse Board of Directors consisting of volunteers from local businesses who work together to promote the business community. The Board of Directors maintains strong relationships with village government. One of the top priorities of the Chamber is to keep communication open between government and business leaders.